De Re Aedificatoria is the first serious work of architectural theory produced since antiquity. Its author, Leon Battista Alberti, was notable for his architectural work but known more significantly as an all around humanist and thinker in a variety of fields. 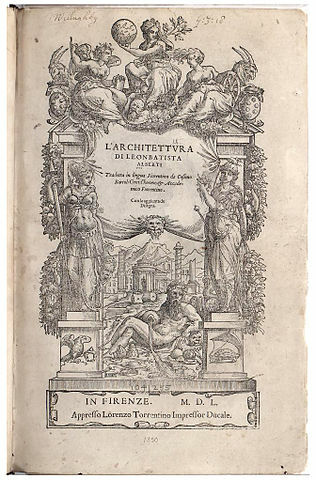 This work was based in part on Vitrivius's De Architectura as well as on Alberti's own exploration and study of Roman ruins throughout Rome.